10/23/2018 – Alexandria, VA – Planate Management Group is proud to announce its participation in the Department of Defense Military Spouse Employment Partnership. The Military Spouse Employment Partnership is an employment and career partnership connecting military spouses with more than 390 partner employers who have committed to recruit, hire, promote and retain military spouses in portable careers. 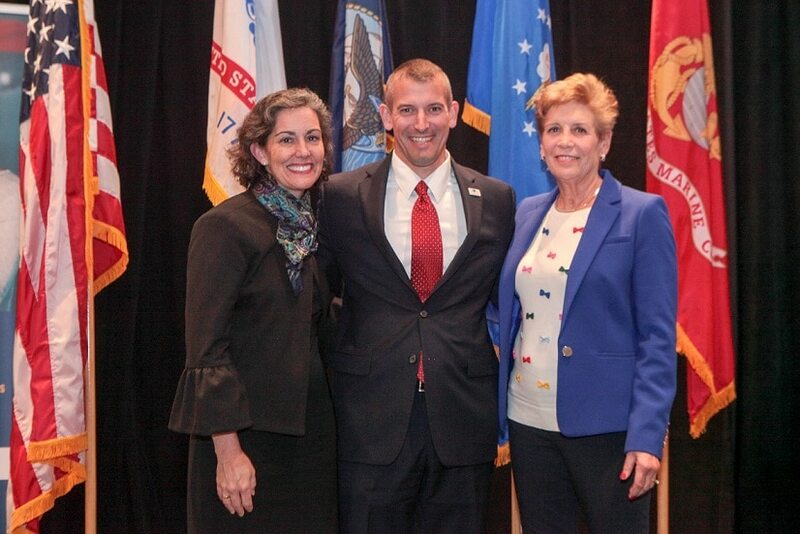 Planate officially joined the Military Spouse Employment Partnership on Oct. 16, 2018, at the annual Induction Ceremony held at the Hyatt Regency Crystal City at Reagan National Airport in Arlington, VA. The partnership launched on June 29, 2011 to serve spouses from all military services. By joining the Military Spouse Employment Partnership, Planate is becoming part of an even larger collective effort to support military spouse employment. For more information about how Planate is working to support military spouses in fulfilling their career goals, visit www.planate.net. For more information on the Military Spouse Employment Partnership, please visit https://msepjobs.militaryonesource.mil. The Military Spouse Employment Partnership is part of the Department of Defense’s broader Spouse Education and Career Opportunities (SECO) program, which seeks to reduce the 23 percent unemployment rate experienced by military spouses and close the 25 percent wage gap currently experienced by military wives. SECO provides education and career guidance to military spouses worldwide, offering free comprehensive resources and tools related to career exploration, education, training and licensing, employment readiness, and career connections. This program also offers free career coaching services six days a week. Learn more about Spouse Education and Career Opportunities by visiting Military OneSource or calling 800-342-9647 to speak to a SECO career coach.